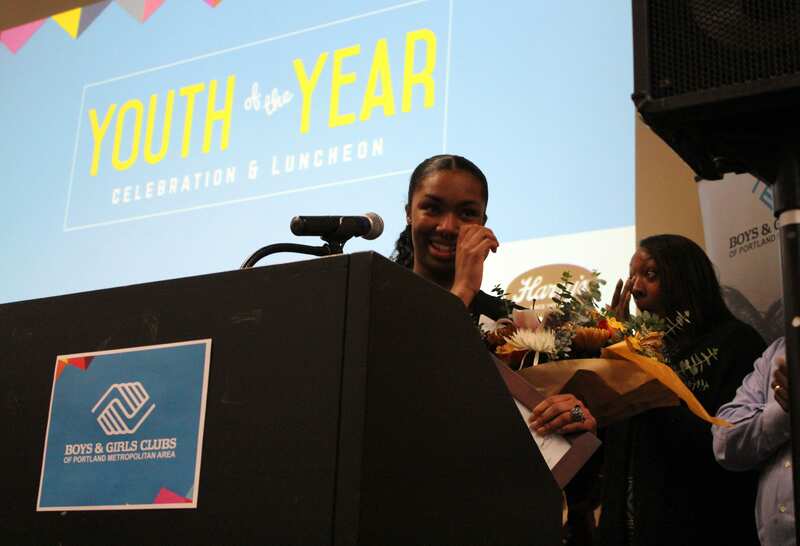 Teya Shearer, a junior at Benson Polytechnic High School and 11-year member of the Regence Boys & Girls Club in New Columbia, was selected as the Boys & Girls Clubs of Portland Metro’s Youth of the Year on Wednesday, November 8, 2017. 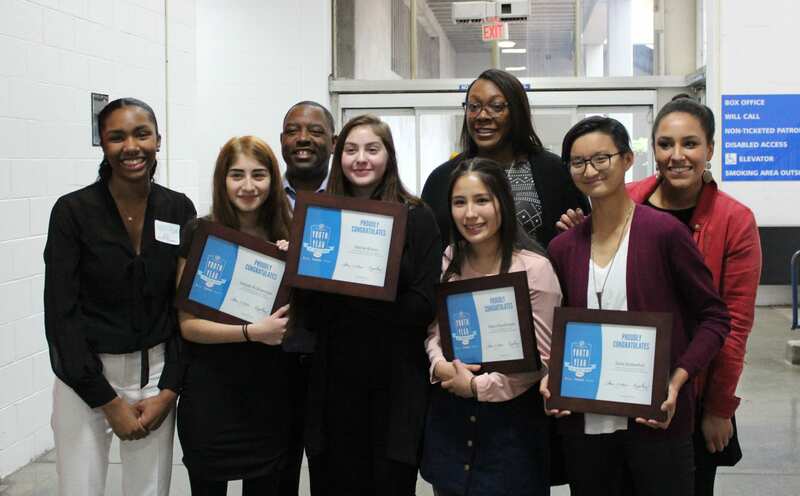 During the selection process, a panel of judges heard speeches from each of five Metro Area Youth of the Year candidates, conducted one-on-one interviews, and then announced the winner at the Youth of the Year Luncheon at the Veteran’s Memorial Coliseum. Teya grew up in the New Columbia neighborhood and is dedicated to giving back and advocating for social justice in her community. She volunteers with Health Occupations Students of America (HOSA), Rosa Parks Elementary School, Charles Jordan Community Center, and her Club. She is also a member of the Women’s Empowerment Club at Benson High School. After high school, Teya plans to attend Occidental College to become a doctor. Along with the title, Teya received a $1,000 scholarship and will continue on to represent the Portland Metro Clubs at the Oregon State Boys & Girls Clubs Youth of the Year competition in March to be held in Portland. Throughout the year, Portland-Area Clubs select a Youth of the Month. From the Youth of the Month candidates, a young person is chosen to represent their local Club as Youth of the Year. Teya competed with four other outstanding Club members representing Club communities from Hillsboro and North Portland. Other finalist included Aaliyah Al-Shammari (Inukai Family Club in Hillsboro), Rachel Butzer (Inukai Family Club in Hillsboro), Sofie Dobberfuhl (YouthForce program), and Mayra Estrada (Inukai Family Club in Hillsboro). All four runners-up received a $500 college scholarship. ABOUT YOUTH OF THE YEAR: Established in 1947, Youth of the Year is Boys & Girls Clubs of America’s premier recognition program for Club members, which promotes service to Club, community and family; academic success; strong moral character; life goals; and poise and public speaking ability. 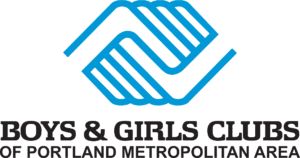 ABOUT BOYS & GIRLS CLUBS OF PORTLAND METRO: Boys & Girls Clubs of Portland Metro empowers more than 4,000 youth to discover their full potential through impactful after-school and summer programs. Clubs are designed to support kids and teens as they develop the qualities they need to achieve academic success, become responsible leaders, and live healthy lives. Today, the Clubs operate seven facilities located throughout the metropolitan area, including school-based programs in the Reynolds and North Clackamas School District.